Buying clubs are organized to help members purchase goods that might otherwise be difficult or expensive to obtain. The food conspiracy and Seikatsu club are two examples of different “food buying clubs” that help members purchase organic or natural food that might otherwise be unavailable. Many cooperative grocery stores began as loosely organized buying clubs, and larger organizations such as United Natural Foods and the Weston A. Price Foundation encourage buying clubs as a way to expand market or mind share for their products. There are two types of athletic and sports clubs, those organized for sporting participants (which include athletic clubs and country clubs), and those primarily for spectator fans of a team. Athletic and country clubs offer one or more recreational sports facilities to their members. Such clubs may also offer social activities and facilities, and some members may join primarily to take advantage of the social opportunities. 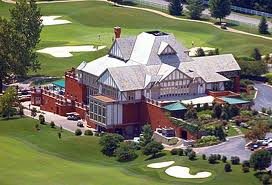 Country clubs offer a variety of recreational sports facilities to its members and are usually located in suburban or rural areas. Most country clubs have golf. Swimming pools, tennis courts, polo grounds and exercise facilities are also common. Country clubs usually provide dining facilities to their members and guests, and frequently host catered events like weddings. Similar clubs in urban areas are often called athletic clubs. These clubs often feature indoor sports, such as indoor tennis, squash, basketball, boxing, and exercise facilities. Fraternities and sororities are social clubs of secondary or higher education students. Membership in these organizations is generally by invitation only. Hobbies are practiced for interest and enjoyment, rather than financial reward. Examples include science fiction clubs, ham radio, Model Railroading, collecting, creative and artistic pursuits, making, tinkering, sports and adult education. Engaging in a hobby can lead to acquiring substantial skill, knowledge, and experience. However, personal fulfillment is the aim. Personal Clubs are similar to Hobby Clubs. These clubs are run by a few close friends. These friends or family members do things they like to do together. They might even make a personal website for their club. These organizations are partly social, partly professional in nature and provide professionals with opportunities for advanced education, presentations on current research, business contacts, public advocacy for the profession and other advantages. Examples of these groups include medical associations, scientific societies, autograph club and bar associations. These are activities performed by students that fall outside the realm of classes. Such clubs may fall outside the normal curriculum of school or university education or, as in the case of subject matter clubs (e.g. student chapters of professional societies), may supplement the curriculum through informal meetings and professional mentoring. A service club is a type of voluntary organization where members meet regularly for social outings and to perform charitable works either by direct hands-on efforts or by raising money for other organizations.